Markers for cables and wires of WIC series byHELLERMANNTYTON company are easy and fast to use. They are used, where readable marking of connected wires is advisable. 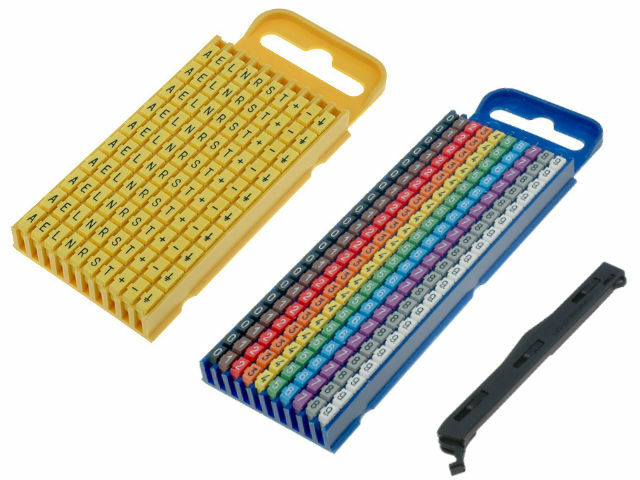 Markers WIC have durable block system, which allows creation of readable marking blocks and prevents them from shifting their position. Thanks to this they stay in their place, even in the installations subjected to strong vibrations.Trouble-free mounting of the markers is enabled by simple, ergonomic WICTOOL, adapted to all sizes of WIC markers. Markers WIC are produced of halogen-free material and are compliant with ROHS directive.